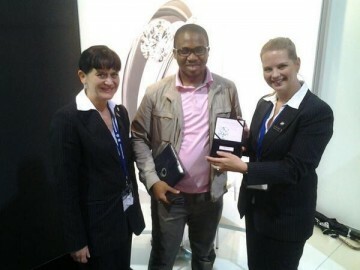 The Cape Town Diamond Museum was privileged to be an exhibitor at the prestigious Tourism Indaba at the ICC in Durban from 11 to 14 May 2013. Being one of the largest tourism marketing events on the African calendar and showcasing a wide variety of South Africa’s best tourism products, we were fortunate to meet delegates from all over the world and make valuable connections with other exhibitors. The official hashtag, #Indaba2013, was trending throughout the Indaba. 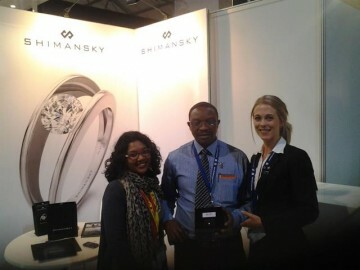 The Cape Town Diamond Museum tweeted live from the event, giving our followers coverage of all the action and happenings at our stand. 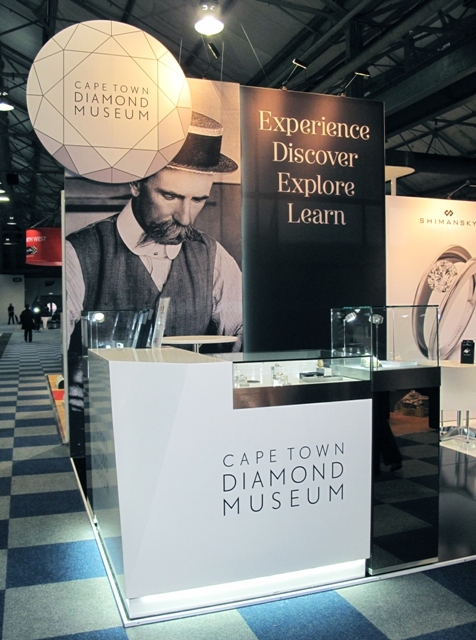 Delegates were invited to visit our stand to explore the history of the South African diamond rush, meet the curator of the museum, and learn more about what the Diamond Museum has to offer. 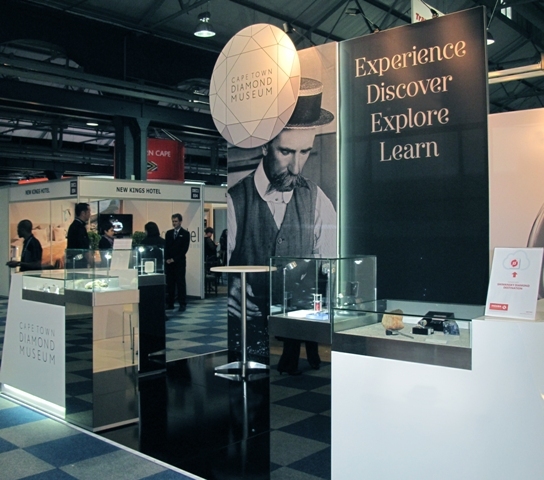 The stand also had fascinating items on display, including the oldest substance known to man and a one-of-a-kind diamond. 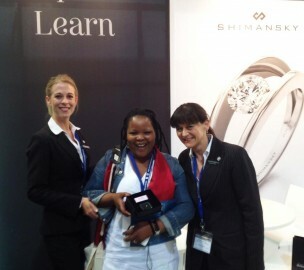 One of the biggest highlights at our stand was the “Win a Diamond a Day” competition where a beautiful My Girl diamond was given away to one lucky delegate each day for the duration of the Indaba. To stand a chance of winning, delegates simply needed to visit our stand and drop off their business card. Every evening a crowd would gather around the Diamond Museum stand in anticipation of the draw. Yair Shimansky, (curator of the Cape Town Diamond Museum), Mariette Du Toit-Helmbold (CEO of Cape Town Tourism) and Meruschka (Mzansi Girl travel blogger) were on hand to do the draw and hand over the My Girl diamond to the winning delegates. The oldest substance known to man, peridotite, gained a lot of interest at our stand. This dense, coarse-grained igneous rock formed over 3.5 billion years ago, and contains single-celled micro-organisms, the first form of life on earth. This iron and magnesia-rich rock is the most common host for naturally occurring diamonds. Delegates were able to view this phenomenal specimen that formed long before the age of dinosaurs. 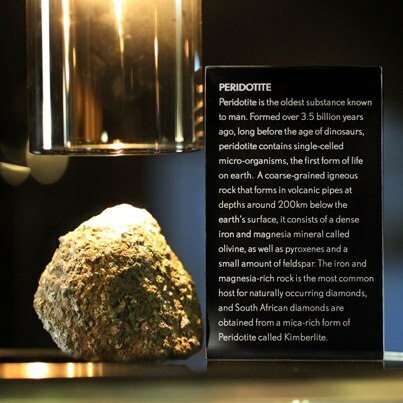 It is now on display at the Cape Town Diamond Museum. Read more about peridotite here. 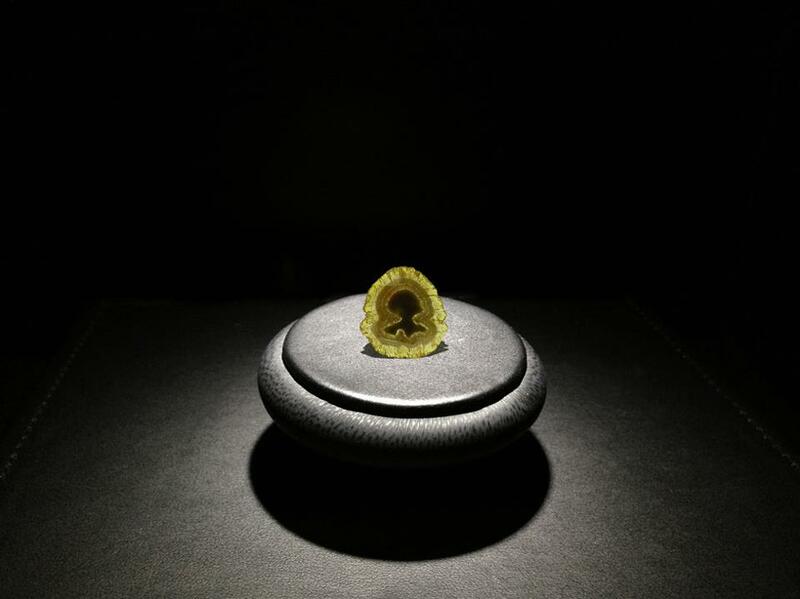 Another top attraction at our stand was the “3 Billion year Old Portrait of a Woman” – a truly unique natural fancy diamond, treasured for its inclusion in the shape of a woman’s portrait. Read more about this fascinating diamond here. After an exciting four days at the Tourism Indaba, we can say it was a huge success. There was a great energy in the air, interesting people and plenty of innovative ideas. 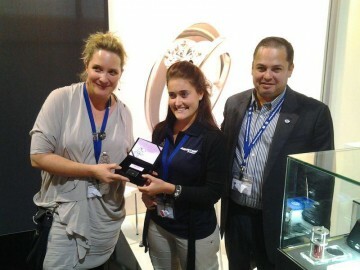 A big thank you for all the support we received throughout the Indaba.